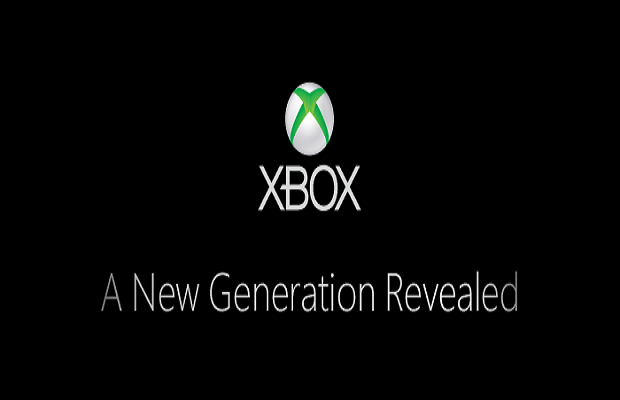 As of this writing, there are six days until the May 21 unveiling of Microsoft’s step into the next generation of gaming. Whatever that may mean to you, reader, is of course up to interpretation. But having spent a great deal of time musing over Microsoft’s first two XtremeBoxes (that’s what the “X” stands for, right? ), I’ve come up with a few things that I would like to see from the next iteration of its living-room console. Let’s start there: the living room. Your living room may not even be a living room. It might just be a room with a TV and some sort of device you use to watch movies and maybe even play games. For some, it’s as simple as their DVD player (or maybe even one of them fancy-pants Blu-Ray players with an internet connection. More on that later). For others, it’s a high definition television bigger than the person that bought it with a cable box, a Blu-Ray player, an Apple TV, and, yes, a video game console all hooked up to it so that whatever it is they want to be entertained by (non-digital entertainment excluded), they won’t have to waste a breath. So, where does the next Xbox fit into all of this? Surely, a Blu-Ray player will be a necessity. Given that Microsoft lost the high-definition disc battle against Sony with their less popular HD-DVD format (one that I believe made more sense in name, given the popularity of the DVD format), they’re going to have to lick their wounds, cut their losses and give in to the Blu-Ray format. It’s a given. Considering Sony’s PlayStation 3 has had the ability to play Blu-Ray discs built into the system from day one (much like the PS2’s ability to play DVDs), they certainly have a stranglehold on the mental association between the Sony name and the Blu-Ray format. Microsoft simply needs to have Blu-Ray built into their next Xbox. Sony is and has been presenting a tall order for Microsoft to fill with its own lineup. There are many platform-exclusive titles and a wide range of genres available on the PS3 already. Titles like Demon’s Souls, its spiritual successor Dark Souls (which also made its way to the 360, I know, but the series started on the PS3), the Uncharted Series, the LittleBigPlanet series, Metal Gear Solid 4 (which was apparently too large for the 360), Heavy Rain, a slew of indie titles like Journey and Dyad, and many more cause Sony to stand out when it came to both the quantity and variety of games offered on their platform. The Xbox 360 has established itself as “the shooter console” with many console exclusives in the genre and even timed platform-exclusive DLC for the mega-successful Call of Duty series. It’s tough to find a game on the 360 that separates itself either from that stigma or from its competition, though. There have been attempts to do something different with short-lived endeavors like the Viva Pinata series and the unfortunate use of the Banjo-Kazooie IP in Nuts and Bolts, as well as the continual push for Kinect sales. But for the most part, the 360 still sits as “the shooter console,” in large part due to the huge success of two of its platform exclusives: the Halo and Gears of War series. With the launch of the original Xbox we were given Halo. If rumors and speculation turn out to be true and Microsoft’s next console is a callback to the original Xbox (maybe even in name), I’d hope that they surprise us with a new IP that we will play for years over multiple console generations. As to what that new IP would be, I have no idea, but my hope is that Microsoft is feeling risky enough to step out of their shooter comfort zone, even just a little. That said, I wouldn’t be opposed to an HD re-release of Halo 2, original online multiplayer and all. Xbox Live needs a facelift. Some of the most sought-after changes may never occur, but there are a number of tweaks Xbox Live users (or even potential users) would surely like to see. The biggest of which being the removal of the giant pay wall restricting players from accessing features and applications available for free elsewhere. The biggest of these features is online multiplayer. Initially, the $50/year subscription fee–which has since increased in price–granted users access to online multiplayer. Microsoft was able to do this with the original Xbox because they essentially held a monopoly on online multiplayer, with the competition offering very little in comparison. The very fact that Xbox Live was going to require a broadband connection was unheard of in an age when a majority of internet customers still used dial-up services. Once again, Microsoft was the only console maker doing this sort of thing, so there was no competition molding its decisions. Since then, we have been given things like the PlayStation Network (free) and Nintendo’s online service (also free). All of them offer online multiplayer access, digitally distributed games (though, I’d argue that Nintendo and Sony offer far more in terms of back catalog from previous console generations), and other miscellaneous entertainment applications. Xbox Live is the only of these three services that requires a paid subscription to access these entertainment apps. More and more features have been added over Xbox Live’s lifespan, but most, if not all, of them are locked up behind the subscription service. The simplest of applications like Netflix and YouTube even require an Xbox Live Gold subscription, services that are readily accessible on just about any other set-top box, including the PlayStation 3 and Wii U. If Microsoft wants to change its public image for an audience that is becoming increasingly aware of the lackluster service Xbox Live provides them in comparison to its competitors, one of two things must happen. Either they A.) Make the same features and applications that are free on their competitors’ platforms free on Xbox Live or B.) offer something so unique and coveted exclusively on Xbox Live that the Gold subscription fee seems worthwhile once again. Ideally, of course, I’d like both of these things to occur, but beggars can’t be choosers. There it is – a musing of thoughts and recollections surrounding where the Xbox came from, to where it is now, and where it will go with Microsoft’s third entry in the console space. This console generation has been the longest ever and a lot has changed in the seven-plus years the 360 has been on the market. Sony finally seemed to find its footing after the rough launch of an overpriced console, and Nintendo is continuing to do its own thing, avoiding competition with Microsoft and Sony. How much of the aforementioned will make its way to the next Xbox? We’ll find out on May 21.